Most women know that taking care of their health is crucial. However, many forget about the importance of also getting their eye health in check—especially because women are at higher risk than men for ocular diseases such as cataracts, glaucoma and age related macular degeneration. Fortunately, there are different ways to reduce this increased eye health risk and protect your eyes from many diseases. Learn how to properly care for your eyes and ensure that they are healthy today and in the future. Vision changes as you age – it’s a fact of life. Conditions develop that may not have been present before. This is why regular eye exams are necessary, even if you don’t seem to have any vision problems. Trained eye doctors will detect and treat any conditions early, so that you can avoid serious issues later in life. If left untreated, diseases like glaucoma can lead to blindness. Take care of your eye health by making an appointment for a comprehensive exam. Another risk women face in regard to their eyes is injury. Many injuries happen right inside the home, such as during home improvement projects. The best way to prevent eye-damaging accidents is to protect yourself while doing any sort of work that may lead to slips or falling debris. Protective eyewear like safety goggles should be kept in your home for easy access any time you need them. 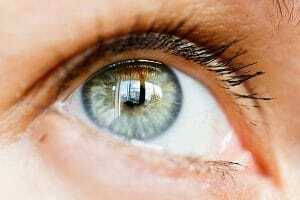 Several health conditions result in vision impairment. Diabetes and high blood pressure, for example, both affect your ability to see clearly. Taking precautions to maintain your physical health will, in turn, maintain your eye health. Getting regular exercise and eating a healthy diet are two sure ways to prevent eye-threatening diseases. As a woman, you have many health risks that are unique to your gender, and your eyes are no exception. With a heightened risk for conditions like glaucoma, it’s important to take steps that will ensure the health of your eyes. Receiving regular eye exams, using protective eyewear, and maintaining your physical health are all crucial to your eye health. For more information about eye health, or to schedule an eye exam with one of our optometrists, visit our website.